Covering 650,000 square feet and rising eight stories above the ground, the new Little Caesars Arena stands as a symbol of the comeback taking place in America’s “Motor City.” Detroit’s hometown hero Kid Rock recently christened the multi-use complex by performing its inaugural concert as part of a six-night home stand that sold out in one day. Just before he took the stage, the arena’s house lights went dark and Journey’s Don’t Stop Believin’ (the city’s unofficial anthem) blared over the PA. 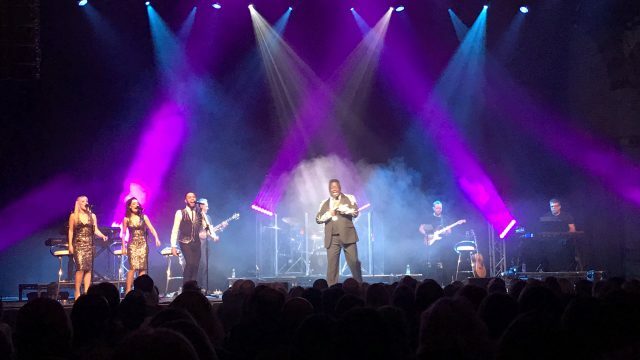 When the song’s famous line “Born and raised in South Detroit” came on, the entire hall erupted with cheers and, as if on cue, the darkness was simultaneously blown away by intense bright light. 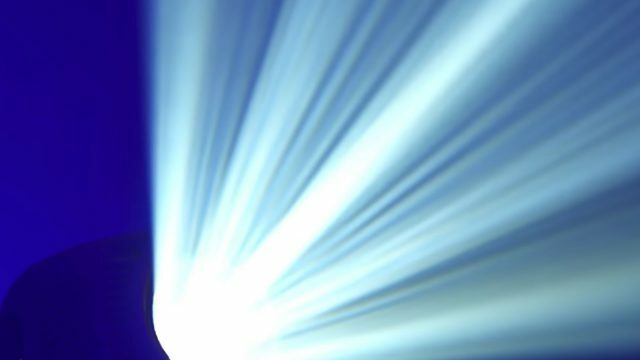 This lighting salvo would be the first of many ballyhoo moments in the rollicking Little Caesars Arena kickoff concert that designer Nook Schoenfeld dramatized with STRIKE 4 fixtures from CHAUVET Professional. 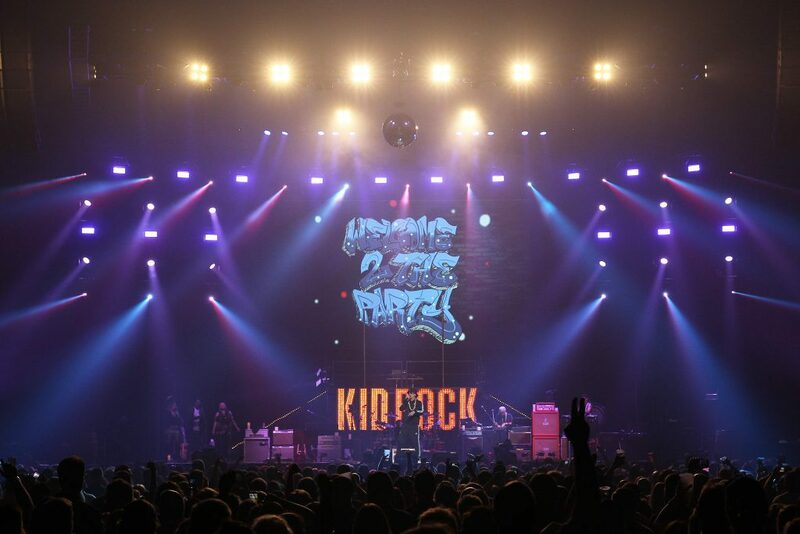 Kid Rock’s longtime LD used 12 of the multi-formatted luminaires supplied by Upstaging, Inc., flying the units 40-feet in the air, six across the front truss, two on the middle truss to light the first ten rows, and four on side truss to provide 270° lighting in the arena. 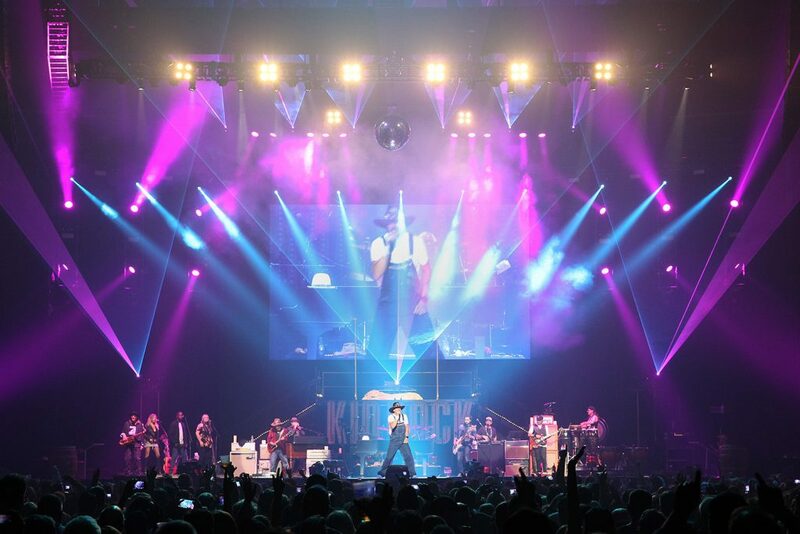 In addition to providing intense bursts of light at key moments during the two-hour show, which featured a guest appearance by Uncle Kracker, video salutes to veterans and Detroit sports legends, animated stage skits and hard-driving music, the STRIKE 4s helped facilitate Kid Rock’s strong connection to his audience. 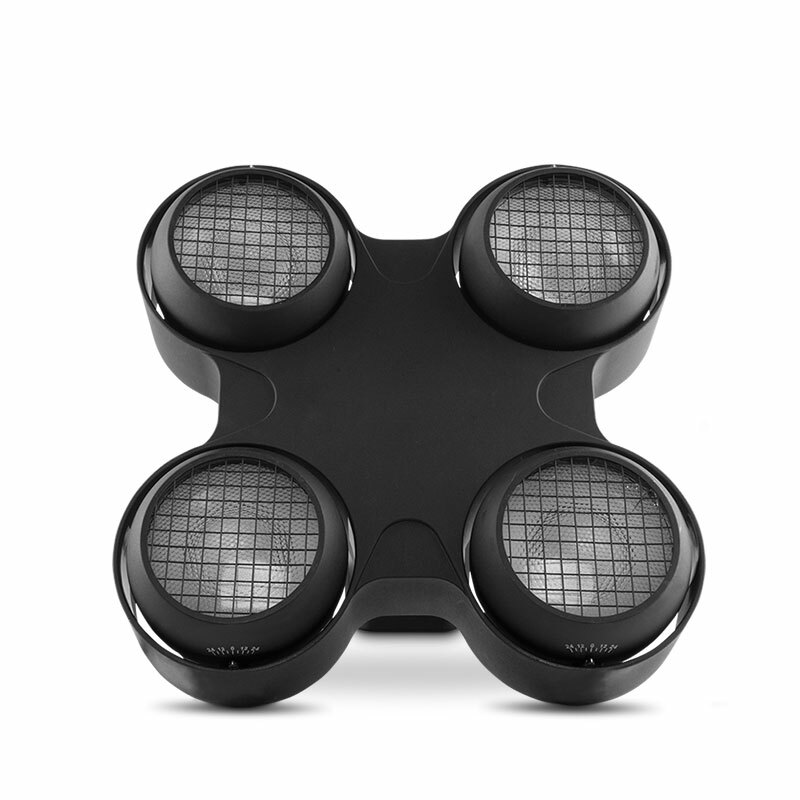 The versatility of the STRIKE 4s made them invaluable tools for creating the wide range of looks needed to support Kid Rock’s diverse mix of music, which glided smoothly from classic rock, to hip hop, to rap to country to ballads during the Detroit show. “I run the STRIKEs in a mode that gives me individual control of each cell as well as the overall dimming curve for the bulb,” says Schoenfeld. “If I need them to fade slowly like you do with a standard DWE bulb, I just switch the mode in the cue, which – by the way –gives me a beautiful orange tungsten tint. But sometimes I want the STRIKES to act like a kick in the face with an immediate bump-on with zero lag time, I also have that ability to do that. Indeed he did, and if future shows at Little Caesars Arena match the intensity achieved on this warm September night, the Motor City’s comeback showcase venue will remain in the fast lane.